Hello strangers! 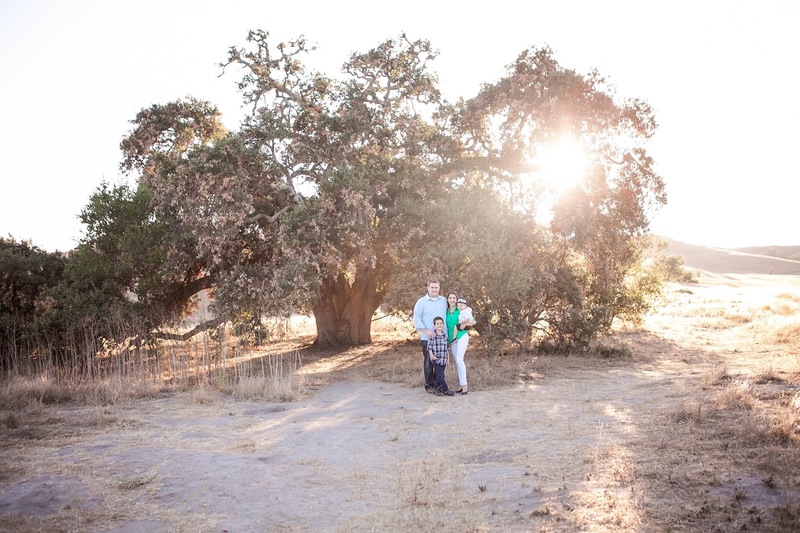 I know I haven't blogged in just about forever. This whole working full time with two kids thing is HARD! To those of you who have been doing this for a long time or have more than two kids, I am in awe of you. We miraculously had a low-key weekend for once so I decided to make Jake's valentines while I had the chance. Jake is entering into that age where he doesn't want anything too lovey so hearts were definitely out. He is obsessed with Star Wars right now so I knew it needed to be Star Wars themed. If you follow my blog then you know that I love sweets just as much as the next person, but since kids get so much candy, I try to do a candy free valentine. After searching around on google I saw this great idea over at Brassy Apple. For some reason I couldn't get her printable to open on my computer so I decided to create my own. Since I was starting from scratch I found this great free Star Wars font and decided to use that for my wording. A little bit of playing around with sizing and I had this printable ready to go. I made three on a sheet and they are just the right size. I printed them up on plain white cardstock, but if you wanted them to be more colorful, colored cardstock would look great too. Then I used my paper cutter to cut them apart and to make a little slit at the top of the lightsaber hilt. I also made another little slit near the right side of the paper to keep the glow bracelet in there more securely. If you don't have a paper cutter, you could easily do this with an exacto knife or even scissors. I had Jake sign them all at this point, because it is easier to write on paper that doesn't have glow bracelets on them. Then grab a couple of packs of glow bracelets. I got mine at Michael's but sometimes Target has theirs in the dollar spot too. Slide a glow bracelet into the slits and you are ready to go. You can also just make a slit at the lightsaber hilt and use a piece of tape to secure it on the back. That's it. Some cardstock, tape, and glow bracelets and you've got adorable, cheap, candy-free Star Wars themed valentines with nary a heart in sight. Download the printable here. 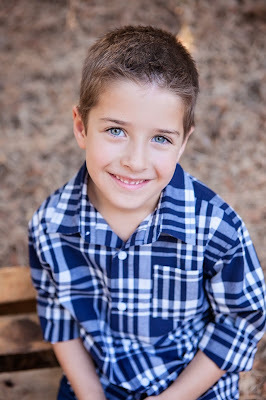 I received a free photo shoot and digital images but all opinions are my own. I've been meaning to write this post for a while now, but obviously I haven't been super active on my blog lately. I thought I was busy before, but now that I'm back to work full time I realize that I didn't know what busy was. Finding the time to do, well anything, is proving to be quite a challenge. We are slowly getting our feet under us, but it is definitely a work in progress. Anyway, back to this post. I don't know about you, but I love taking pictures of my kids. Of course I think they are the cutest children in the world and they change so fast that I want to capture their sweet little faces as often as I can. As great as the photos I get are, there is no substitution for professional photos. 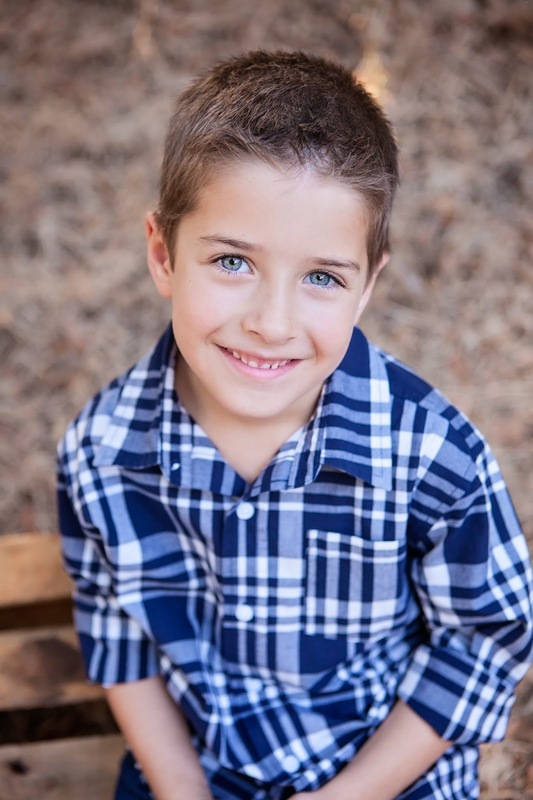 A professional photographer is exactly that, a professional, and the photos show it. 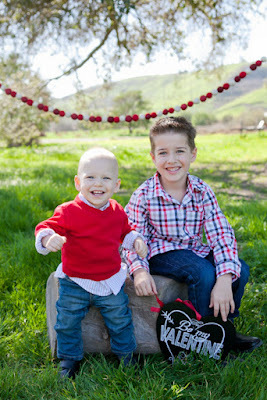 I was lucky enough to meet Kristine Andrews about a year ago and she has helped us get some amazing photos of our boys. 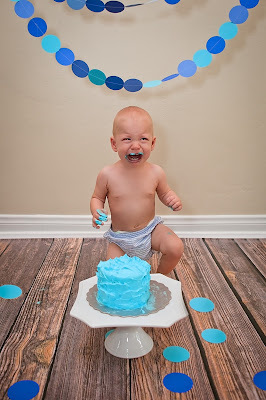 Kristine did Luke's first birthday photos. He did not like frosting! 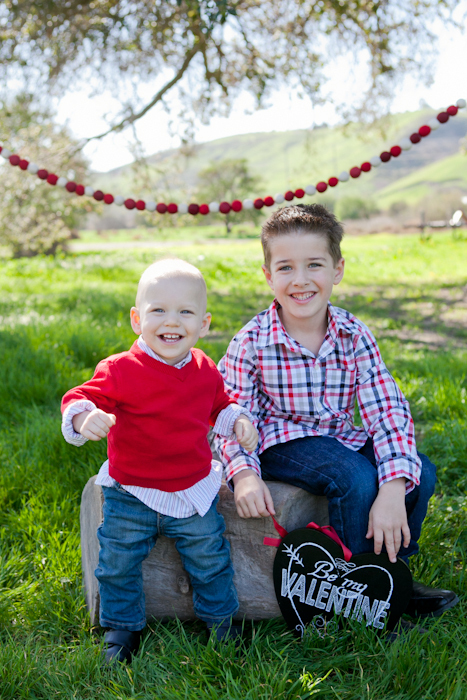 She did an adorable Valentine's Day mini session with both boys. Love!! 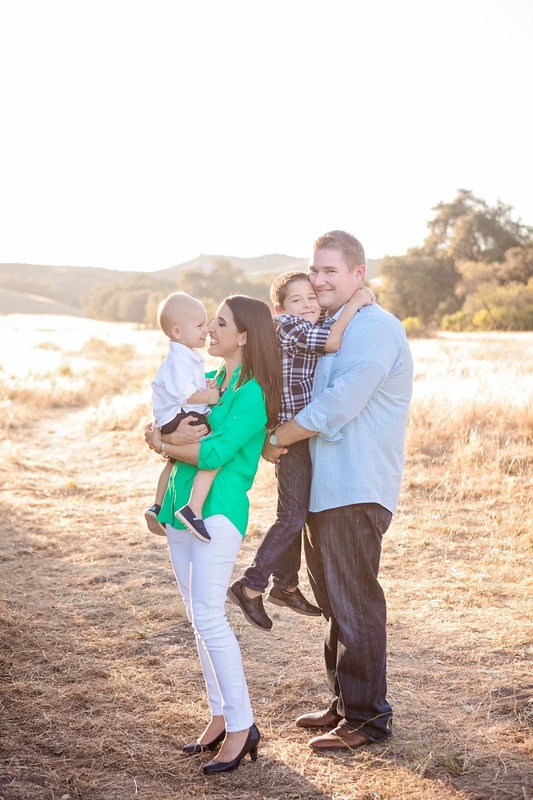 Then over the summer we finally got around to doing family photos. 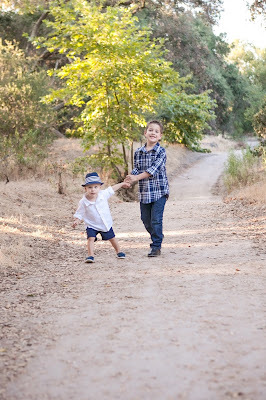 Kristine has an incredible knack for capturing all of the aspects of my boys' personalities, and there are many. I mean, look at those faces! Honestly it was hard for me to pick which shots to include because I just love them all! My favorite shot from the whole day is this one where you can just see how much we love each other. Professional photos can get really pricey which is why a lot of people don't do them, but Kristine is super affordable. I also love that she includes digital images in her packages because in this day and age, let's be honest, that's what I want. Of course I want to frame prints and hang them up, but I also want to be able to put them in a digital frame, share them on Facebook, and use my amazing professional photos in the grandchildren calendars I make as holiday gifts for our parents every year. Owning the digital images allows me to do all that and more. Another cool thing that Kristine does is when you get your digital images, she gives you more than one edit of each of them. She gives you a black and white, as well as several slightly different color versions where the colors/light have been adjusted. I actually don't know what the real terms are for that, I'm not a professional photographer. I just know that I like having the options. 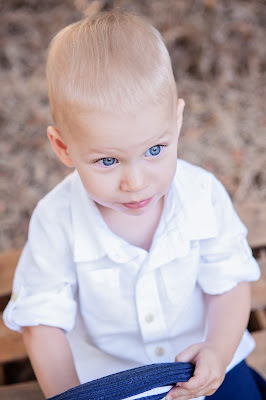 If you are thinking about having some photos taken, I highly recommend Kristine Andrews Photography. We have so many amazing photos of our beautiful boys, and our little family, thanks to her. After a year away from teaching, I'm getting back into the classroom full time. Because I gave up my spot at my school when I took the year off, I'm starting at a new school. My team has been unbelievably welcoming and helpful so I wanted to make them something sweet for the first day of school. The only fly in the ointment is that one of my teammates is vegan and another one can't eat gluten. Every year for Passover my stepmom makes the most amazing flourless peanut butter cookies so I knew that gluten-free wouldn't be a problem. That just left the vegan part of it. Her recipe has an egg and I've had success in the past using flax as an egg substitute when I've been short on eggs so I decided to give it a try in this recipe. These cookies only have four ingredients, five if you count water, and come together really quickly. The first thing you want to do is to make your "egg" by combining the ground flax with water. Stir it together and then set it aside for at least 5 minutes. Mix together a cup of peanut butter, a cup of sugar, a teaspoon of baking soda, and your flax "egg." The dough will look a little crumbly but it comes together when you roll it. I used a cookie scoop to portion out my dough and then rolled it into balls. Just like with regular peanut butter cookies I made a cross-hatch pattern on top with the tines of a fork. My stepmom rolls the dough up and then chills it and does them like slice and bake cookies so you can go that route if you prefer. Bake them for about 10 minutes and then cool completely before eating. Because there are so few ingredients, the peanut butter flavor really shines. Mmmmmm! Combine flax and water and set aside for at least 5 minutes. Combine peanut butter, sugar, baking soda, and flax & water mixture. Roll cookies into balls and place on cookie sheets lined with parchment paper. Make a cross hatch pattern on top with the tines of a fork. Bake for 10 minutes. Cool completely before serving. My wonderful Mommy & Me group has a monthly ladies only brunch. We love spending time together with our little ones, but it's also hard to hold an uninterrupted conversation with a bunch of babies and toddlers running around. That's why once a month we leave the kids at home with our hubbies and catch up over mimosas and delicious brunch treats. In the summer months it's nice to make something that doesn't involve heating up the house. That's where this breakfast bruschetta comes in. Just like it's savory cousin, you start out with some toasted bread. I sliced up a baguette and spread each piece with a thin layer of butter or coconut oil. Sprinkle a little cinnamon sugar on top and pop them in the toaster oven until they are as toasty as you like them. Now you have adorable little cinnamon toasts, but we aren't finished yet. Take your cinnamon toasts and schmear them with some ricotta. I threw mine in my immersion blender to smooth it out a bit but you can totally skip that step. Dice up some fresh strawberries. I did this the night before and the natural sugars in the strawberries really came through. If you don't plan ahead or your strawberries aren't as sweet, sprinkle them with a bit of sugar. My original plan was to put some fresh mint in with the strawberries, but the mint at the store was pretty sad looking. It was delicious without it, but if you have a mint plant or your store has some decent looking mint, toss some in. Spoon some of your diced strawberries onto each crostini. Before serving, transfer your bruschetta onto your serving platter and drizzle with honey. These Strawberry Breakfast Bruschetta were a great addition to our weekend brunch, but they are easy enough for a weekday. The crunch of the crostini, the creamy ricotta, and the sweetness from the strawberries and honey combine to make a delicious and relatively healthy morning treat. I was provided with a complimentary product for review. All opinions are my own. I've always been concerned with skin care, but once I entered my thirties it became even more important to me. One step that I've been meaning to add into my skincare routine is a serum. They are all the rage and seem to be the key step to keeping your skin looking great. When derma e® reached out to me about trying one of their serums I jumped at the chance. Family owned and operated for 30 years, derma e® is focused on developing vitamin-rich, high-performance, antioxidant skincare solutions. The award-winning line features over 80 doctor-developed and clinically-tested products that are free of parabens, phthalates, mineral oil and petrolatum. derma e® products are cruelty-free and 100 percent vegan. Manufacturing and operations take place in California and are backed by 100% wind energy. Firming DMAE Serum - This silky, firming facial serum helps support healthy texture and tone for visibly firmer skin. Soothing Redness Reducing Serum - This gentle, fragrance-free moisturizing serum for sensitive skin helps reduce redness, calm irritation, diminish blotchiness and discomfort. Evenly Radiant® Brightening Serum - An intensive skin-brightening treatment that targets uneven pigmentation and age damage for a visibly brighter complexion. Hydrating Serum with Hyaluronic Acid - A concentrated treatment that plumps skin full of moisture and nutrients so it appears softer and smoother with fewer visible lines and wrinkles. Deep Wrinkle Peptide Serum - This nourishing, double-action treatment formula addresses the look of deep lines and wrinkles to promote smoother, younger-looking skin. I kind of wanted to try them all, but ultimately I decided on the Firming DMAE Serum. I've only recently started using it so I can't really speak to results. I will say that when I put it on, my skin feels tighter, in a good way, if that makes sense. It has a light, natural fragrance that absorbs quickly and it feels light on my skin. It has been an easy step to add into my skincare routine and it has made a derma e® fan out of me. If you are interested in trying out the derma e® line for yourself (and I recommend that you do) they have a quick quiz on their website that gives you personalized product recommendations. Take the quiz HERE and see what derma e®products are right for you. If you saw my last post on Creating Free Digital Invitations then you know that I recently threw a pink and gold "Twinkle Twinkle Little Star" shower for one of my dearest friends. 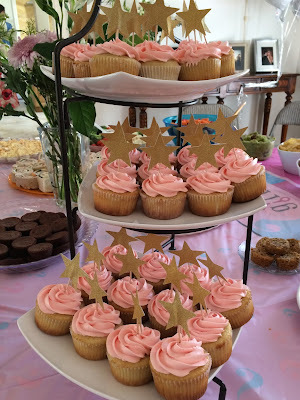 To add some glitter to her shower, I decided to make these adorable gold glitter cupcake toppers. They were super easy to make and turned out so cute. I used my Silhouette Cameo, but if you don't have one you could use a star-shaped craft punch or even trace and cut out stars (it will just be a little more time consuming). I went to Joann's and picked up a 12 x 24 sheet of gold glitter sticker paper. I made a star in the Silhouette software and then replicated it to fill the page. Then I just loaded the sticker paper in and let my Cameo get to work. I repeated this process with some white cardstock for the backing. The only other thing you will need is a box of toothpicks. Once you have your white cardstock stars cut out, one at a time peel off one of you new glitter star stickers. Lay a toothpick on the sticker side so that it about 2/3 of it is sticking out. Lay a cardstock star on top and press them together. That's it! Just repeat for as many cupcakes as you need. I love the way these turned out! They were so adorable on top of our pink frosted cupcakes! Sorry for the photo, I forgot my regular camera. One of my dearest friends is pregnant with her first little one, and it's a girl! Living in a house full of boys, I get extra excited at any opportunity to get crafty with my favorite color, PINK! Her mother-in-law and I are throwing a fun co-ed shower for the happy couple and we decided on a pink and gold Twinkle Twinkle Little Star theme. I immediately took to Pinterest and have been pinning like crazy. When it came time for the invites, the parents-to-be decided they wanted an email invitation. I went to Evite and Paperless Post and while they had some great design choices, they didn't have exactly what I was looking for. I don't know about you, but once I get an idea in my head, I get stuck on it and nothing else will do. So, to PicMonkey I went. If you have never used PicMonkey, get on it. I absolutely love this site. It's a great tool for bloggers looking to spice up their blog pics, but it is also perfect for designing your own invitations. Did I mention that it's FREE! They do have a Royale membership that has a few extra features, fonts, and overlays, but I've always managed to get by with the free version. To make this invite I went to PicMonkey and clicked on the Design option. On the left you will see the basic edits available to you. First you want to pick the color of your card, if you are going with a white card, skip this step. I wanted pink so under Canvas Color I played around until I got exactly the shade of pink that I wanted. Once you are happy with the color, click apply. Next you want to add in your decorations, I decided to keep it simple with just a few gold stars in the top right corner. From the little menu on the left, click on the butterfly. This will give you a bunch of little shapes you can use as decorations. I clicked on the Stars because, um, Twinkle Twinkle Little Star. Stay with me people. Of course you can use whatever you want. Keep in mind that anything with the little crown icon is a Royale feature so you will have to pony up to use those. 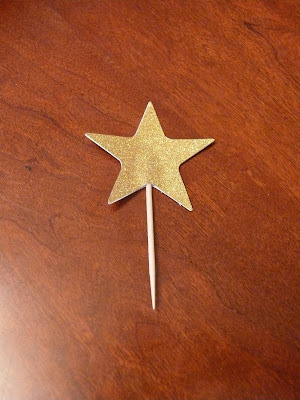 I picked a nice basic star and then played around with the color until I got a shade of gold that I was happy with. Then I copied the heart and resized it to get a few different sizes and rotated some of them to create visual interest. Finally I clicked on the Tt from the menu on the left and inserted text boxes for all of the text I wanted to enter. I used the same shade of gold as the stars. One cool thing to keep in mind with text is that in addition to their fonts (non-Royale options are somewhat limited), you can use any fonts that you have on your own computer, yay! Once you have it how you want it, click save, name it, and save it to your computer. I was super excited with how this turned out! In case you are thinking to yourself, "Wow Lauren, this looks great except for those random black boxes," I just added those on top for this post to protect their privacy. Once you have the invitation saved to your computer you have a couple of options. You can have them printed (or print them yourself if you have a good printer) and mail them out. 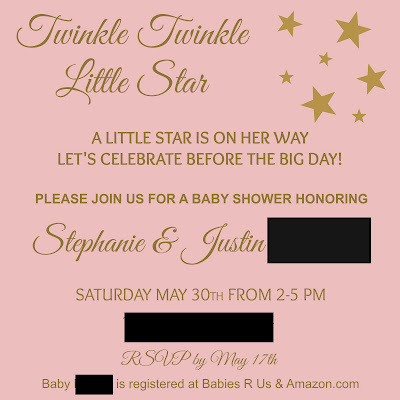 The parents-to-be wanted their invitations emailed out so I had to find an online invitation service that would let me upload my own design. After a little bit of searching, I found a site called Celebrations that will allow you to upload your own design. It's a free service, unless you want it ad free in which case you have to pay to upgrade. This means that with a little bit of creativity and some time at your computer, you can design, send out, and manage RSVPs for your own custom invitations for FREE!